Melanie Fiona Hallim, also known as Melanie Fiona, is an R&B recording artist from Canada. She is notable for her collaboration with Cee Lo Green on the song Fool for You. For the song, she won two “Grammy Award “ for Best Rap/Sung Collaboration and Best Traditional R&B Performance respectively. Her other award-winning albums include The NF Life, Gone and Never Coming Back, Melanie Fiona, and The Bridge. Melanie Fiona was born on the 4th of July 1983, in Toronto, Ontario Canada, to Guyanese parents. Her father serves in finance and is also a guitarist, whereas her mother works in the bank. Growing up in a music-filled household, Fiona was passionate in music since a young age and thus, began writing songs at the age of sixteen. At 19, Fiona stepped into the music industry joining a Canadian musical girl band named X-Quistie alongside Nirvana Savoury and Nicole Holness. The following year, the group released their debut album X-Quisite which was nominated for “R&B/Soul of The Year” in the Juno Awards. However, the group disbanded after three years of its formation. Later, she joined the group The Renaissance along with the Toronto-born rapper Drake. At the time, she also worked in the nightclubs in Toronto. After some time, Fiona relocated to Los Angeles, seeking recording contract opportunities. She laded co-writing songs for recording artist Kardinal Offishall and Rihanna. In the meantime, she also recorded the reggae son Somebody Come Get Me under the stage name Syren Hall. In 2007, entrepreneur Steve Rifkind discovered Fiona and signed her to SRC Records and Universal Motown via Title 9 Productions. Before completing her debut album, she went on to tour with Kanye West in his Glow in the Dark Tour as well as met with Jay-Z and his mate Tyty. Three years after her debut album, Fiona came out with her second album The MF Life whose lead single Gone and Never Coming Back peaked at 37 on US R&B chart. Melanie, who is a Canadian by nationality, belongs to African ethnicity. To date, she is unmarried but is involved in a romantic relationship with her long-term boyfriend Jared Cotter, an American pop/R&B singer, songwriter, and model. The couple has a child together named Cameron Lincoln Cotter. Nonetheless, Jared is not only the love of her life; she was previously in a relationship with Adam Rodriguez. The dated for three years and then parted way. Melanie Fiona has earned` a huge amount of money from his professional career. As an R&B recording artist from Canada, she has several sources of income and is paid well as his salary. Currently, her net worth is estimated at $4 million. Melanie Fiano was born in Toronto, Ontario Canada to Guyanese parents. She is currently 34 years old. She is the daughter and second child of Guyanese immigrant parents. Melanie Fiona released her debut album titled The Bridge and her debut single Give It to Me Right peaked at #41 on UK Singles Chart and #20 on Canadian Hot 100 chart. Melanie is in a relationship with her boyfriend Jared Cotter, an American pop/R&B singer, songwriter, and model. The couple welcomed a son Cameron in 2016. She previously dated Adam Rodriguez. But they ended their relationship in 2012. 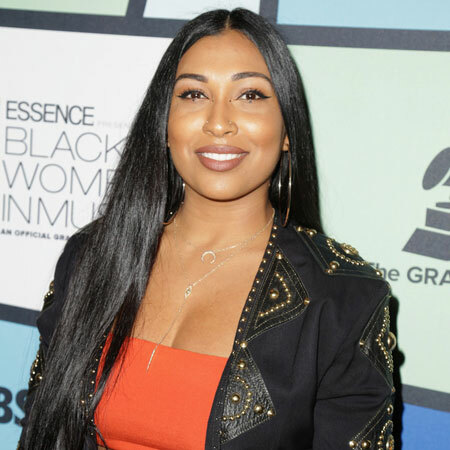 As of 2018, Melanie Fiona's net worth is estimated to be around $4 million.Her significant source of on earning is her professional acting and singing career.